Building websites that serve to inform, inspire, connect and engage. Services include: web design & development, usability and user experience consulting, graphic design, and identity. 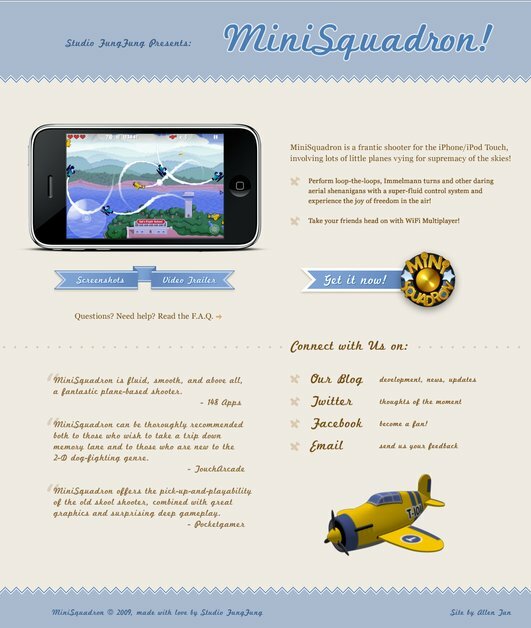 Website for the critically acclaimed iPhone title MiniSquadron.